Every part of our body is very important for us to be able to function well. We use our eyes a lot everyday - in reading, watching TV or movies, commuting/ walking, at work or in school, when we eat and go out with our friends & family, etc. It is one of the most used parts of our body, I must say. I have not been wearing my eyeglasses for over 7 years now and i have difficulty sometimes seeing things or reading texts from afar. Whenever I watch plays in the theater, I would always bring my binoculars to see clearly the details of the performance. When we experience eye problems, it is best to consult an eye specialist immediately to avoid complications and so that remedy can be done. 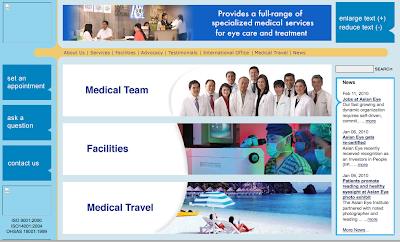 Glaucoma is one of the many eye conditions that people of old age suffer from. It is characterized by damage of the optic nerve and loss of field of vision. Those who have high risk of glaucoma probably have high nearsightedness or farsightedness, diabetes, hypertension, family history of blindness, history of blood transfusion, eye accidents/ injury, steroid use, or are smokers. An early detection or glaucoma treatment is safer to prevent it from occurring. It is better to be careful than sorry. Some of the early signs of glaucoma are: difficulty in using corrective glasses, clumsy movement such as frequent spills at meals, difficulty estimating distances, and some parts of the visual field get dimmer. It is also possible when we experience headache or nausea after reading a book, watching TV or movies, difficulty in navigating the stairs, see halos around lights, or frequently bumping into things. 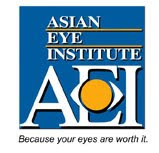 Check out the different services that the Asian Eye Institute offers. Maybe you would already need an eye check-up soon, like me.